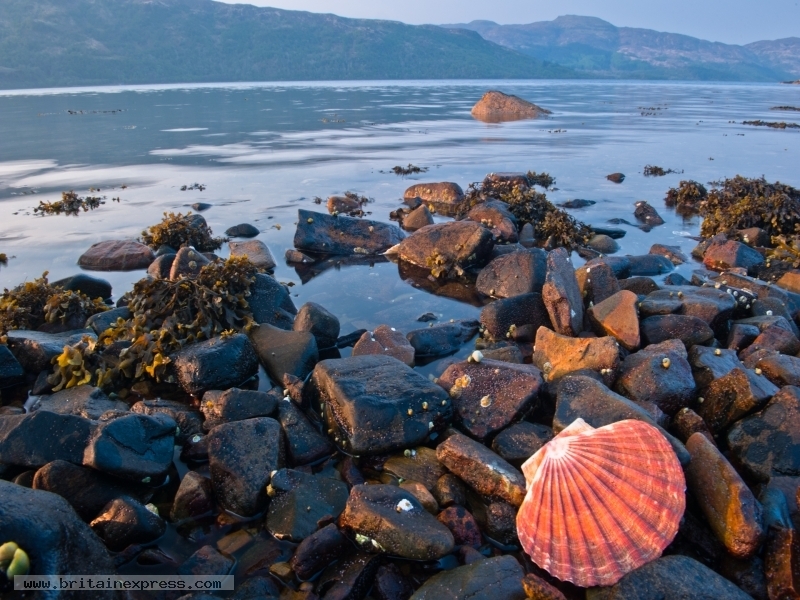 Walking along the northern shore of Loch Sunart, near Camas Torsa, I came across this gorgeous pink shell on the beach. I tried several different photos but the one that worked best was when I lay flat on the beach and took this photo handheld. As I got up I noticed that the tide had started to submerge my camera bag!